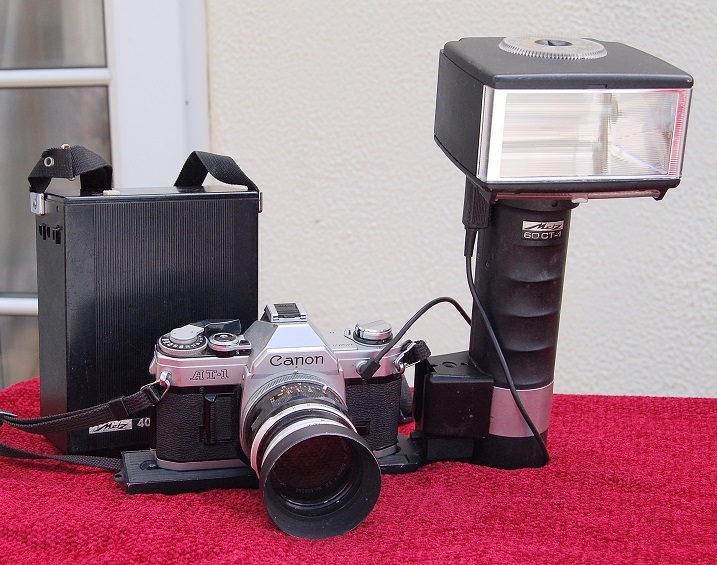 Metz FLASH GUN kit for 1980s press. Non functioning. Canon AT1 camera attached.